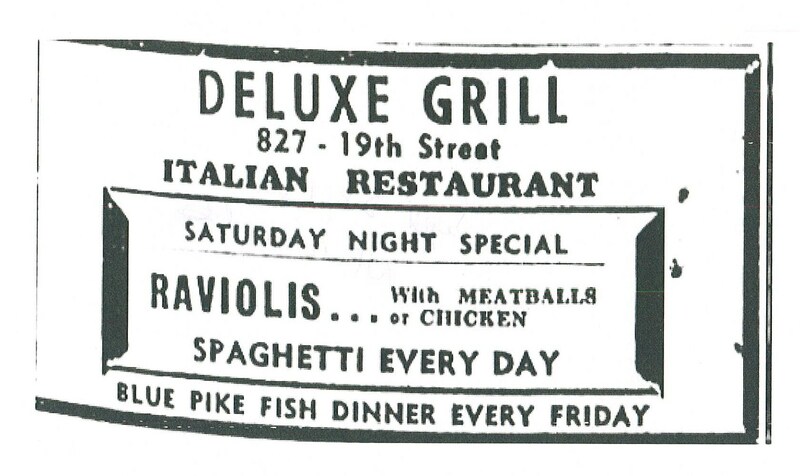 The De Luxe Grill was an Italian-American restaurant located at 827 19th Street, Niagara Falls, owned and operated by my great grandfather, Francesco Fortuna–an Italian immigrant to the Niagara Falls area. Born in L’Amatrice, in the province of Abruzzo, my great grandfather had run away from home while just a young boy to apprentice with his uncle in Rome–who had been a chef at a well known restaurant. 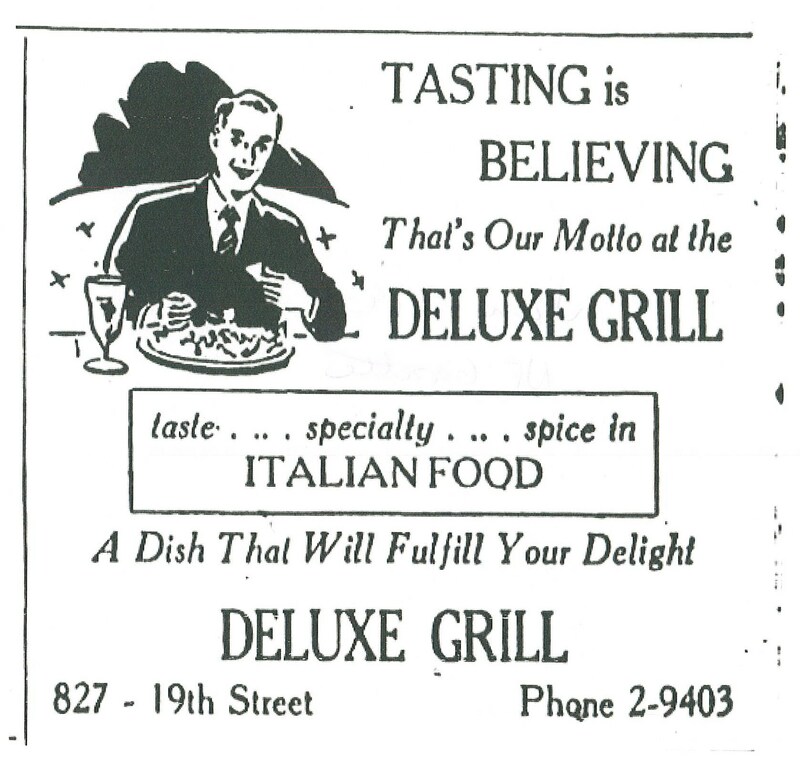 He brought his passion for the culinary arts to the New World and the De Luxe Grill was born in 1946. 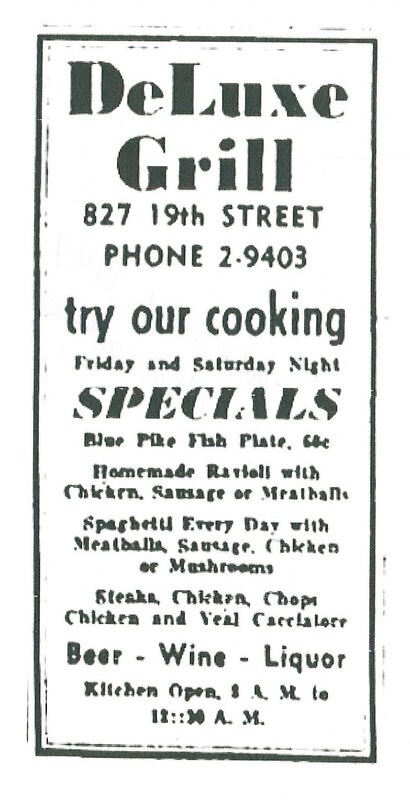 My grandmother, Gina (Jean Ann), worked at Bell Aircraft during the War and handed over all of her checks to her parents to help purchase the building on 19th Street. 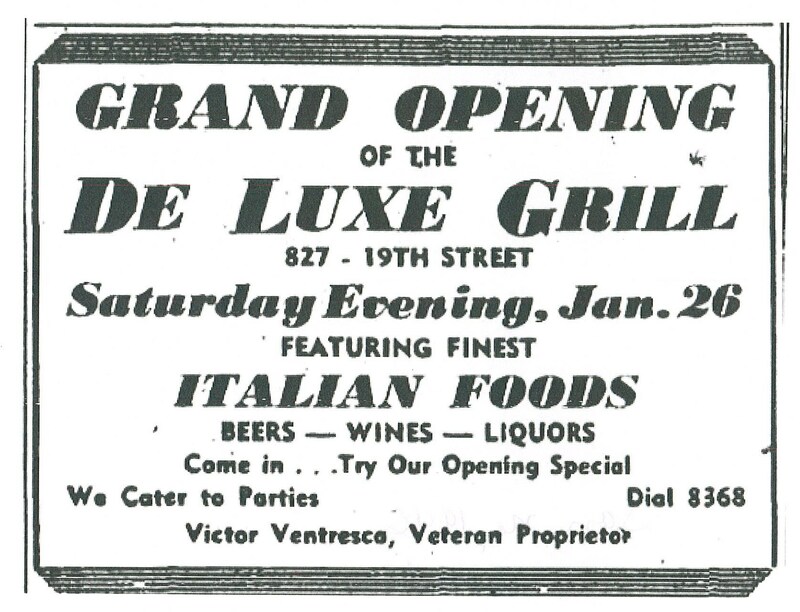 Most of the family worked in the restaurant and my sweet uncle, Victor Ventresca, a returned veteran of the Second World War, was officially my grandfather’s business partner. Through Uncle Victor came the prized liquor license. 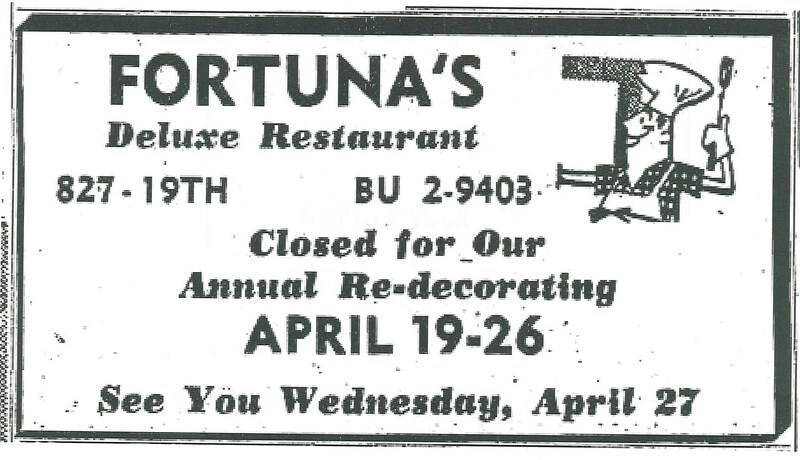 The restaurant was located deep in the heart of Niagara’s “Little Italy.” It is still in operation today thanks to my cousin, Joseph Fortuna…the third generation to run Fortuna’s Restaurant. 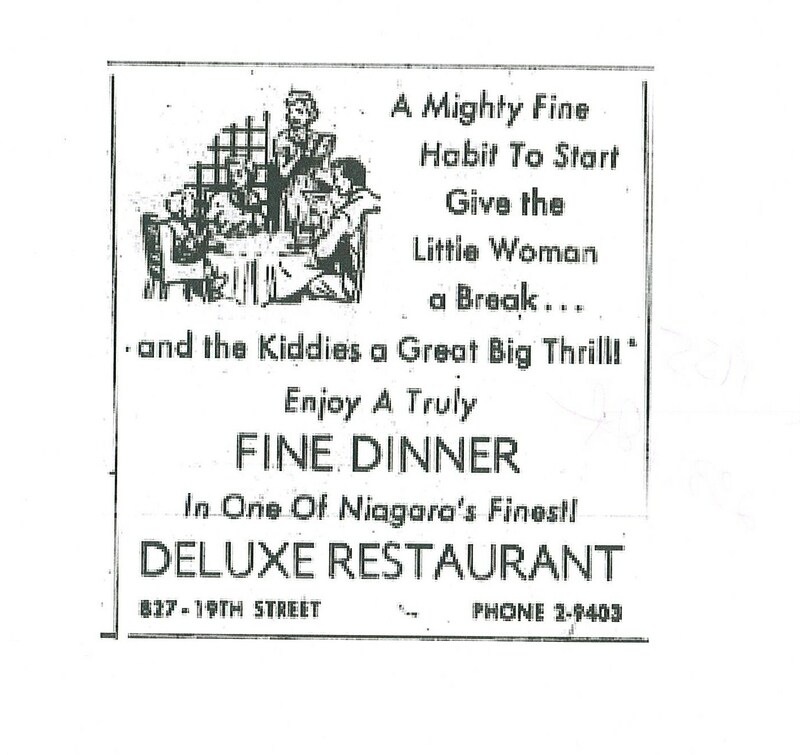 In the process of researching for a new book, “Buon Appetito; the families of Niagara’s early Italian culinary traditions,” I came upon these wonderful vintage advertisements from the Niagara Falls Gazette. There will be much more to share in the future on all of Niagara’s Italian culinary institutions!